Flash News: Detailed 4304 RRB Senior Section Engineer Recruitment notification will be released on 29th December 2018. Candidates can check the expected syllabus along with the test pattern which we updated here as per our analysis. Keep visiting us for more latest updates. Candidates who have applied for RRB Senior Section Engineer Exam eagerly searching for the RRB SSE 2019 Syllabus and Exam Pattern. 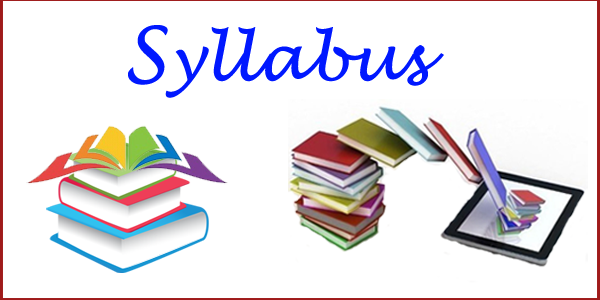 The Railway Recruitment Board SSE Exam Syllabus 2019 is now available to download here. Applicants who are looking for RRB Exam Pattern and Syllabus, your Searching ends here by clicking on the below link. After downloading the RRB SSE Syllabus 2018, you have to start the preparation immediately. Furthermore, details about RRB SSE Exam frequently visit our website. Railway Recruitment Board going to release the recruitment notification for hiring talented and eligible candidates for the Senior Section Engineer Posts. There are approximately 4,500+ vacancies based on the latest employment news. Job hunters who are hunting for the Central Government Jobs they can apply for the Railway Jobs before the Last date. Latest updates regarding the RRB SSE Recruitment 2019 follow our website. Online application available dates will update soon. Click on the below link to get more details of RRB Recruitment for Engineers. Here, refer the Indian Railways Engineer Exam Syllabus. Applicants will be shortlisted for the Senior Section Engineer Posts based on the Following tests conducted by the Board. RRB SSE Exam 2019 will be conducted for 200 marks with 200 Questions. Duration of the RRB Senior Section Engineer is 2 Hours. Contenders who have taken participation in the RRB SSE 2019 can now download the Detailed RRB SSE Syllabus here. Subject wise RRB Syllabus for Senior Section Engineer Computer Based Test mentioned below for the ease of applicants. Sir rrb sse ka notification kab niklega?? Aur form kya apne rrb zonal website mein niklega.? I completed my graduation B.E mechanical this year, not yet got my degree, can I apply for SSC exam. Where to find the dates of exam correctly? I am confused with lot of website’s. Please guide how to find exam dates. I’m completed BE .Mechatronics.it’s sub branch.if i eligible for SSE exam. Sir, I completed my B tech degree in APPLIED ELECTRONICS & INSTRUMENTATION, Can i apply for RRB? I am B.TECH in APPLIED ELECTRONICS & INSTRUMENTATION. Which syllabus shall I follow-Electronics Engineering or Instrumentation & Measurement Engineering. I’m from industrial production branch is there any possibility that I can also give this exam? CAN YOU PLEASE TELL WHEN THE LINK WILL BE OPENED FOR 2017 SSE POST ??? When exam registration starts and when it ends can any one say. Myself BE electrical and 2018 passed out batch so is it eligible to write rrb sse this year. Sir i just completed my BE mechanical engineering. I dont have any idea abt which books will be used by rrb sse exms will u plese guid me the name of that books for technical and reasoning. I have a small doubt. Do I have to appear for only my branch in the technical section or all the branches? i am student of electrical engineering please send me previous question of rrb and full syallabus…. Sir m in final year n my branch is industrisl n productiin engineering (related to mechanical ). Can i apply for SSE exam n when the notifications will be out for 2018 ? I hav ecompleted my Btech ( industrial & productiin engineering) in (related to mechanical ). Can i apply for SSE exam n when the notifications will be out for 2018 ?Please reply to this question. Sir , can i apply for SSE ..I m from metallurgy branch ?? Hello, when will be the notification released tentatively. Whats the upper age limit for General Category. Sir M a ENTC engg can i apply for this exam.